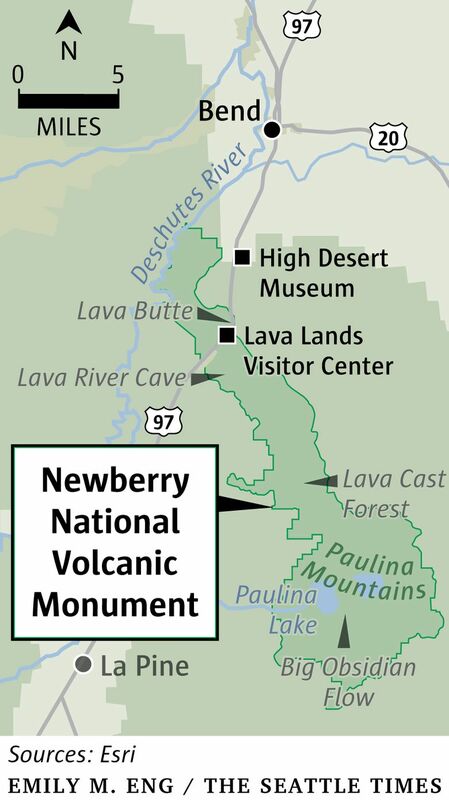 Newberry National Volcanic Monument, south of Bend, has cones, caves, craters and more. BEND, Ore. — It’s not every day that you get to stand on the windswept rim of a volcano. From the edge of the cinder-cone crater I could tell it was filled with sharp fragments of lava and pumice. Stretching for miles beyond were braided branches of inky black scars where magma meandered across the landscape. Almost nothing grows among the lava flows now. For around 7,000 years it has looked the same — bleak, harsh and stunning. Outside of Hawaii, the Newberry National Volcanic Monument near Bend is one of the best places in the nation to witness volcanic natural wonders. Lava Butte isn’t on the scale of Mount Saint Helens. The cinder cone is but a tiny pimple on the Earth’s crust, and one of hundreds inside the vast Newberry volcanic complex. It only takes a few minutes to drive to the top, and about 15 minutes to walk the quarter-mile rim trail of the caldera. My family was in Bend for a wedding and while we expected to indulge in Bend’s adrenaline-pumping activities such as biking, rafting and hiking (plus the breweries, of course) it was the unusual volcanic sights that kept stopping us in our tracks. The list read like amped-up WPA posters: Climb a volcano! Subterranean wonders! Hike in a lava field! Most sites don’t require you to be a mountaineer or volcanologist. The volcano I was standing on was right off Highway 97 and featured paved interpretive trails guiding visitors through lava moonscapes. Seeing miles of destruction firsthand gave me a new appreciation for the power of the earth, and Lava Butte was only the beginning. What happens when hot lava oozes through a forest? Well, it’s pretty hard on the trees, for one thing. Thousands of years ago, molten rock from Newberry Volcano devoured a standing forest, leaving the trees encased in hard rock when the lava cooled. What’s unusual about this lava field is what gives the trail its name. Some of the trees stood fast against the onslaught. They held their ground as lava pooled and cooled around them. When the trees eventually died and rotted away, they left behind plaster-like casts. As we hiked the 1-mile paved trail we soon came upon what remained of the trees. We found lava imprinted with bark and many holes dropped several feet into the ground like wells. Huge old trees that were knocked sideways formed casts of tunnels big enough for a small person to fit inside. It’s not every day that you can wander through gnarly lava fields, even fewer when you can see ghosts of trees frozen in time. It’s normal to feel some trepidation when exploring a cave. As we descended the staircase at the mouth of the Lava River Cave, our 2-year-old riding shotgun in my backpack got chill bumps long before the cool air hit our skin. Eighty thousand years ago, hot magma spewed from a volcanic vent and raced across the landscape in an open channel. As the crust cooled, a roof formed over the flow and superheated lava continued downhill like a subway. When it emptied it left a tunnel, and now a maintained trail follows the tube about a mile underground. Usually when you see lava tubes they are merely a few feet across, but Lava River Cave is special because of its girth. In some places the ceiling was five stories high, creating eerie echo chambers. We found sections where the walls were smooth as glass and lots of striations showing evidence of past flows. Our headlamps were meek compared to the cathedral-like space, but soon our eyes grew accustomed to the dark and we played with long exposures on our camera to capture dramatic light patterns on the walls. All the while, I kept imagining what it would have been like during the eruption when the cavern was filled with red-hot lava blowing through like a freight train. Whenever I did, my chill bumps matched my son’s. At the Big Obsidian Flow, an eruption covered more than a square mile with volcanic glass, pumice and smooth, black obsidian. Our Airbnb hosts had warned us about Bend’s temperamental weather. “It can snow almost any month of the year,” they said. Sure enough, the 80-degree weather turned on a dime. As we caravanned to the 6,400-foot-high trailhead snowflakes began hitting our windshield. By the time we arrived, a spring blizzard had covered our dragon glass in several inches of fresh snow. It’s not every day that you hike in a spring snowstorm but the experience was just another unforgettable memory of Bend’s extreme environment. • The Lava Lands Visitor Center has ranger talks, interactive displays and 3D maps of the region. 58201 S. Highway 97, Bend; 541-593-2421 or bit.ly/2sUW6vR. • At the High Desert Museum, learn about the flora and fauna that thrive in the volcanic landscape. There are good exhibits on homestead life. Live animals on display include river otters, birds of prey and a bobcat. Summer rates: $9-$15. 59800 S. Highway 97, Bend; 541-382-4754 or highdesertmuseum.org. 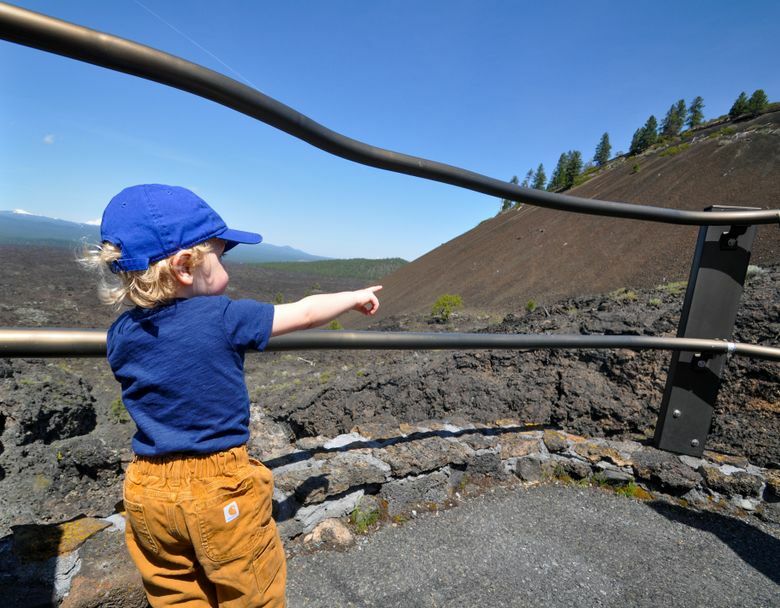 From May 28 to Sept. 5 a shuttle runs about every 20 minutes, 10 a.m.-4 p.m., from the Lava Lands Visitor Center to the summit of nearby Lava Butte ($2 round-trip; exact change required), with no access by personal motor vehicles during this period. Access by personal motor vehicles resumes on Sept. 6 for the remainder of the season (until mid-October) by free first-come, first-served timed permits available at the center. Visitors may also hike or bike to the top. For the national monument, day-use fees apply or permits are required for parking May through September: $5 day-use fee, Northwest Forest Pass or applicable interagency passes. Lava River Cave is closed from Oct. 2 until early May to protect bat populations. 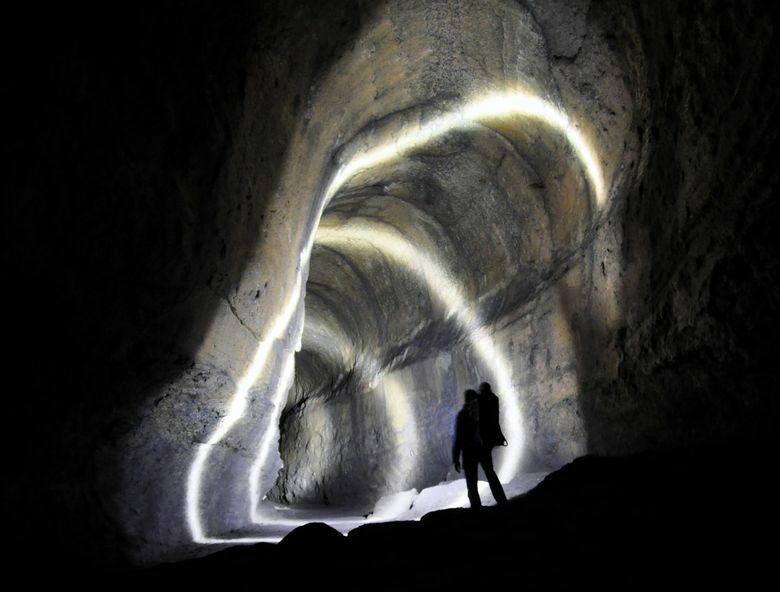 Lights are required in the cave; rent a light or lantern at the site for $5 until 4 p.m.
Chelan County-based writer Jeff Layton blogs at www.MarriedToAdventure.com.